User-centered design for educator’s website | Clarity Innovations, Inc.
A redesigned web experience providing educators easier access to key resources and best practices. Northwest Evaluation Association (NWEA) is a global not-for-profit committed to providing educators with reliable student assessment data needed to make a positive difference in every student’s learning. 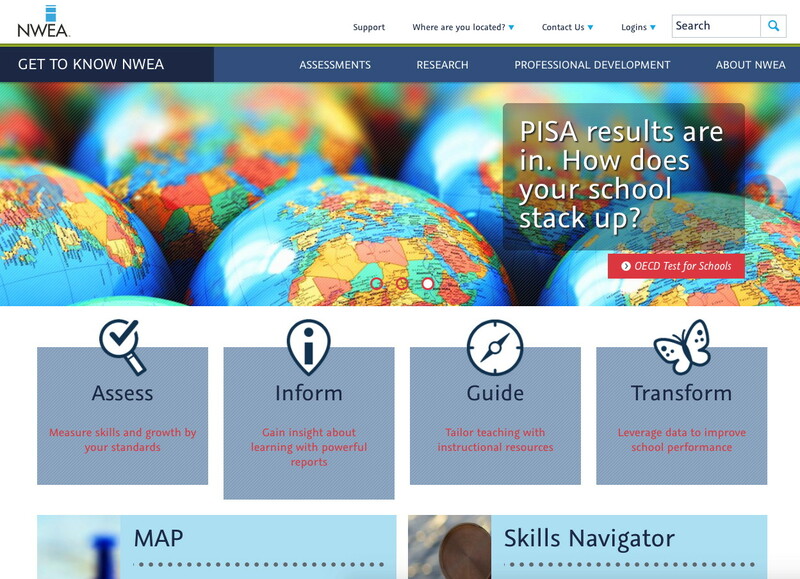 As part of their rebranding effort, NWEA desired to simplify navigation and make the website design straightforward for educators seeking best practices and instructional strategies to use in the classroom. NWEA was working on a brand identity redesign to match its growth over the last several decades into a global organization. The initial results of translating their new brand identity to their website and corporate blog lacked elements central to the ethos of the company and its relationship with educational institutions. Having already engaged with them to begin building an online professional learning community, NWEA expanded our engagement with them to leverage our expertise with information architecture, graphic design, and website engineering to accelerate the website remodeling process. Building on our background and experience as practitioners in K-12 education, we conducted an in-depth user analysis of both their main website and blog. After extensive market research and competitive review, we developed user-flow diagrams outlining the most traveled pathways through their websites. We designed a user-centric sitemap and wireframes from which our design team used as the framework for website mockups aligned to NWEA's brand guidelines and accessibility needs. Working closely with the client, we wrote the content for the main website and developed interactive graphics while our engineering team worked side by side with theirs to implement and launch the rebranded website and blog. 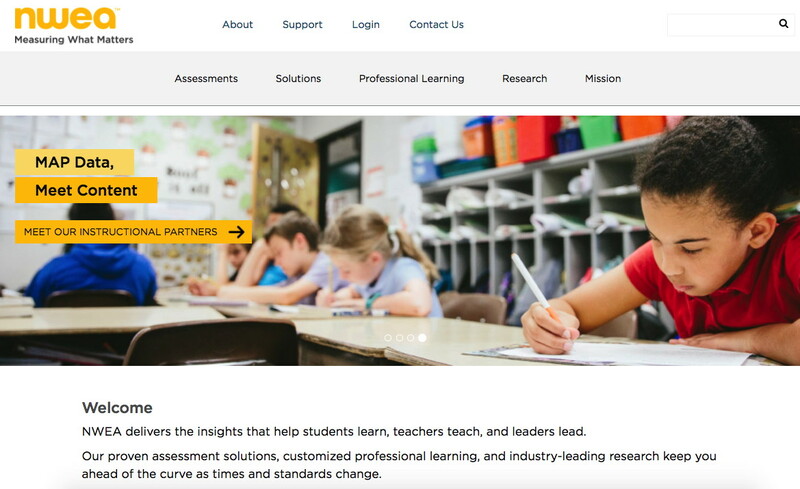 The NWEA main website and blog now boast a fresh look with clear navigation and articulation of the organization's mission and values. After the rebranding launch, both the website and blog had received 17% more visitors than in the same period last year. The number of pages viewed each time also grew by 20%, indicating the revised information architecture is encouraging educators to browse through the resources and best practices.